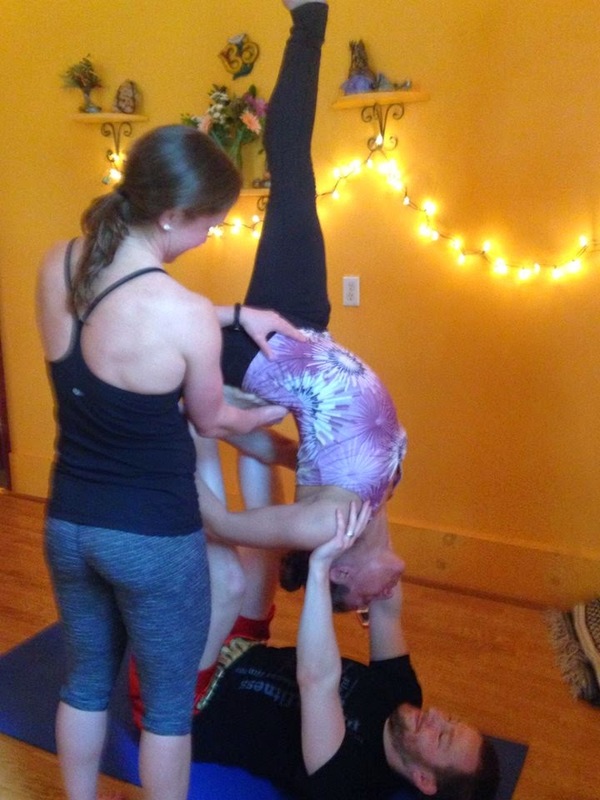 Headstand and crane poses, Killer Yoga. Anchorage, AK, 2012. Crane pose, Killer Yoga. Anchorage, AK, 2012. Dancer pose inversion, Wake Up Yoga Acroyoga seminar. Philadelphia, PA, 2014. 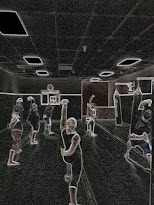 Freehanded plank inversion, Killer Yoga private aerial training. Napa, CA, 2012. Inverted poses also include downward facing dog, standing forward bend, and others in which the legs are upright or partially upright, but the torso is inverted, making the head lower than the heart. 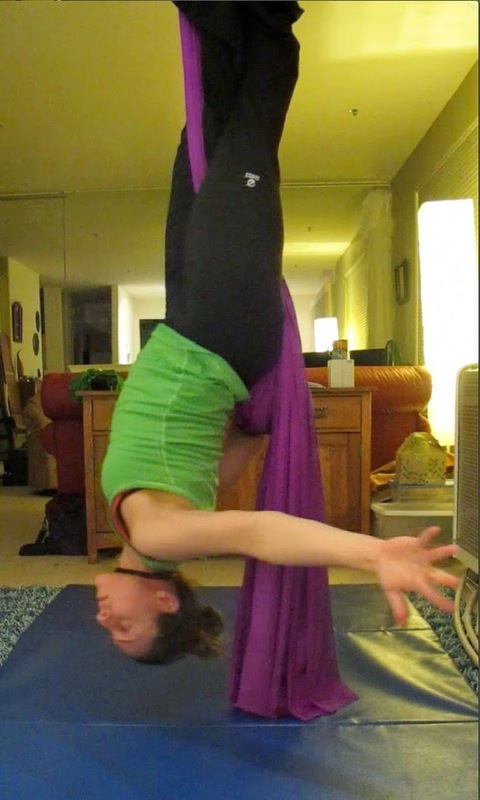 Standing forward bend - an excellent, simple inversion. 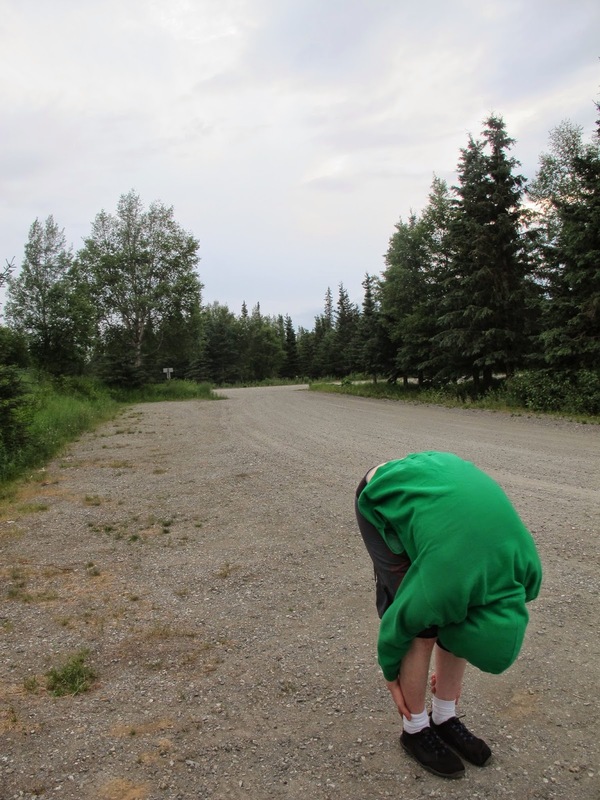 Alaska, 2013. I uncovered a clear, scientific explanation for the effect of inversions, courtesy of the Yoga for Healthy Aging blog post on baroreceptors. The reason these poses trigger the relaxation response turns to be related to the mechanisms that control your heart rate and blood pressure. The nerves that control your heart rate and blood pressure are regulated through pressure sensors called baroreceptors. Your baroreceptors are located in the wall of each internal carotid artery at your carotid sinus (the arteries on each side of your neck that carry blood from your heart to your brain) and in the wall of your aortic arch (just above your heart). These baroreceptors detect any changes in your blood pressure, stretching when blood pressure is high and shrinking when blood pressure is low. 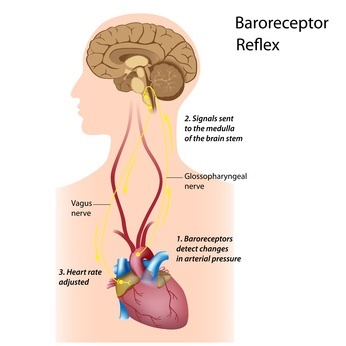 If your baroreceptors detect a fall in your blood pressure, they send signals via your nerves to increase your heart rate, constrict your blood vessels to raise your blood pressure, and switch your nervous system to fight or flight mode. Likewise, if your baroreceptors detect abnormally elevated blood pressure, they send signals to slow your heart rate, relax your blood vessels to lower your blood pressure, and switch your nervous system to relaxation mode. With your heart higher than your head, gravity causes more blood to flow in the direction of your head, creating more pressure than usual on your carotid sinus and aortic arch. As the arterial pressure is increased, your baroreceptors are stretched and signals are transmitted to your central nervous system as if your blood pressure was high throughout your body. Feedback signals are then sent back to your body to reduce the arterial pressure, slowing your heart rate, relaxing your blood vessels, and releasing hormones that decrease adrenaline production. This automatically switches your body to relaxation mode. Because there are baroreceptors in your carotid sinus (the arteries on each side of your neck that carry blood from your heart to your brain) inverted or partially inverted poses where your neck is flexed (that is, your chin is pointing toward your chest), as in Shoulderstand, Plow pose, or Bridge pose, puts added stimulation on your baroreceptors, which may enhance the calming effects of the inversion.